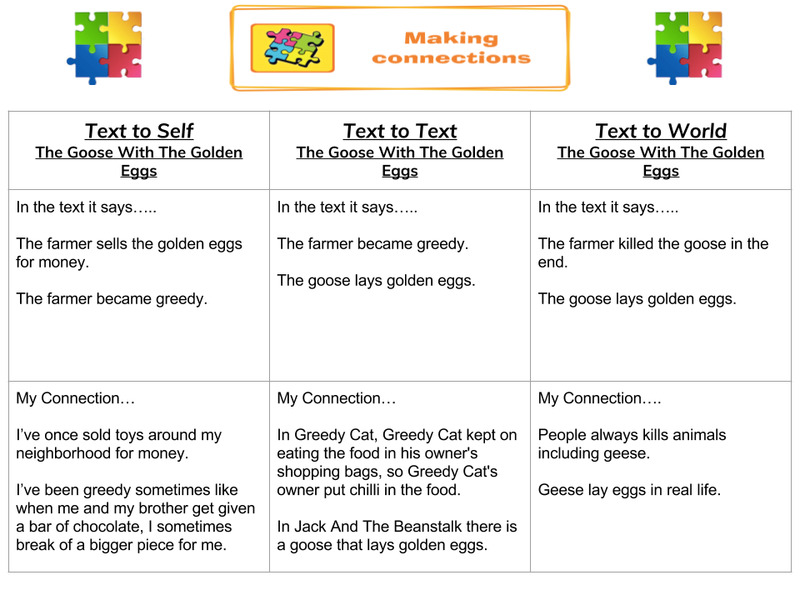 This week for reading we learnt about making connections, and a characters point of view. We used two templates that would help us understand both how to make connections, and how to figure out the characters point of view, and if it changed. For the making connections chart there were three sections that were split in half. The three sections were the text to self section, the text to text section, and the text to world section. Text to self is when something in the text you read, has a connection to something you've done before. Text to text is when something that has happened in the text has happened in another story. Text to world is when you make a connection with something that happened in the story, happens, or has happened in real life, but not to you. For the Point Of View chart there are four boxes. 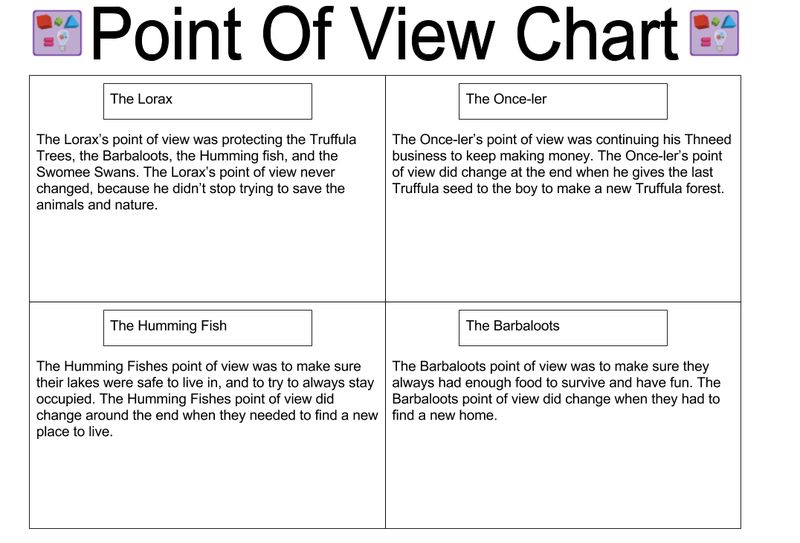 In each box needs a character from a story, their point of view, and if it changed.